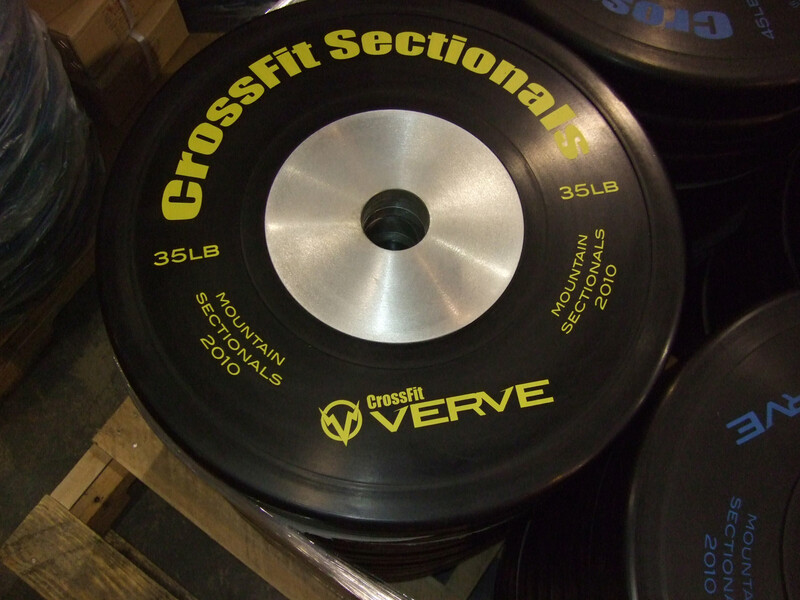 Matt and Cherie of CrossFit Verve check in with a look at some purdy plates bound for the Mountain Sectionals. As the story goes, the organizers of the Mountain Sectional wanted to keep the playing field as level as possible. 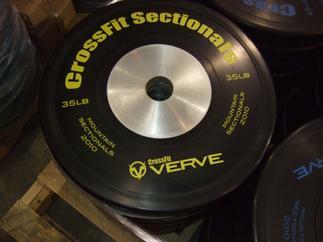 Using the available bars and plates from their box would have had the competitors on an assortment of equipment, so working with Pendlay they were able to create not only a uniform package for the competitors, but a good looking one too. Athlete registration for the Mountain Sectional closes on March 6th, at midnight. 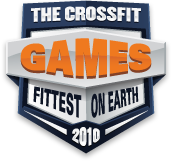 WODs for the weekend's events will be available one week after, on the 13th. Videos and an explanation of ROM will follow. 04 March 2010 / 12:10 p.m.
04 March 2010 / 12:28 p.m.
Just to clarify, I was totally joking. Looks like you guys are putting together an awesome event! 05 March 2010 / 7:22 a.m.
03 May 2010 / 11:31 a.m.